Since my small people were born, I’ve crept quietly in to their rooms each night to watch them sleep, to whisper quietly, “your mommy loves you.” It is such a ritual that I have trouble falling asleep unless I’ve done it. It used to be that I would tiptoe so as not to wake them, but now that they are older, they often stir, reach out for me and sometimes respond. In these moments, I recommit to keeping their world as safe as possible, and doing all I can to help them grow up to be kind, responsible young adults. Naturally, that means doing my own part to protect them and making every day decisions that don’t jeopardize their safety – even for an instant. My small people don’t do as I say, they do as I do…. I need to remember that they are learning from every decision I make – the good and the bad. They mimic my tone, my words, my eating habits, my (dis)organization and they absolutely notice if react to my phone when I’m driving. If I can reach for my phone on the road – because it might be an emergency – because I need to see who just messaged – because I think it just can’t wait – my children will think they can do the same. Not only am I endangering them and everyone else on the road, but I’m setting myself up as a poor role model. 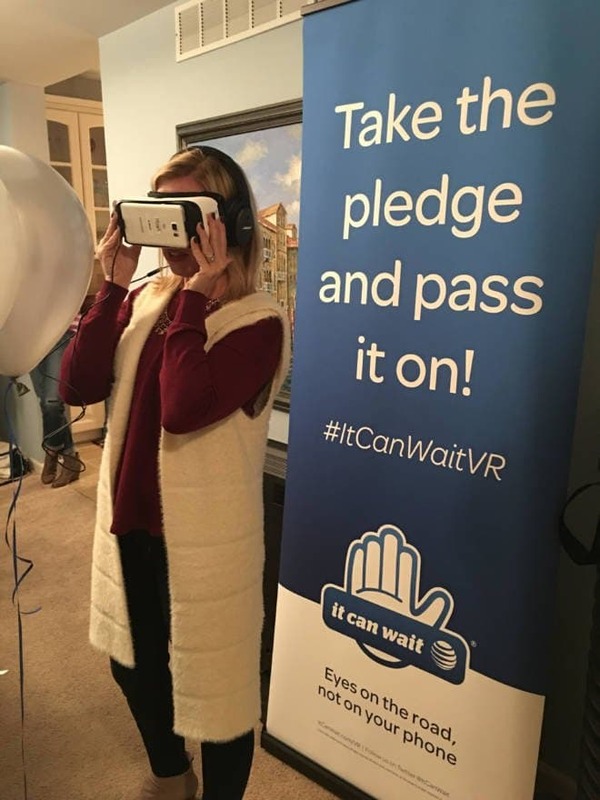 I have long been a fan of AT&T’s It Can Wait campaign because it brings attention to an issue I care about and I know you do too. 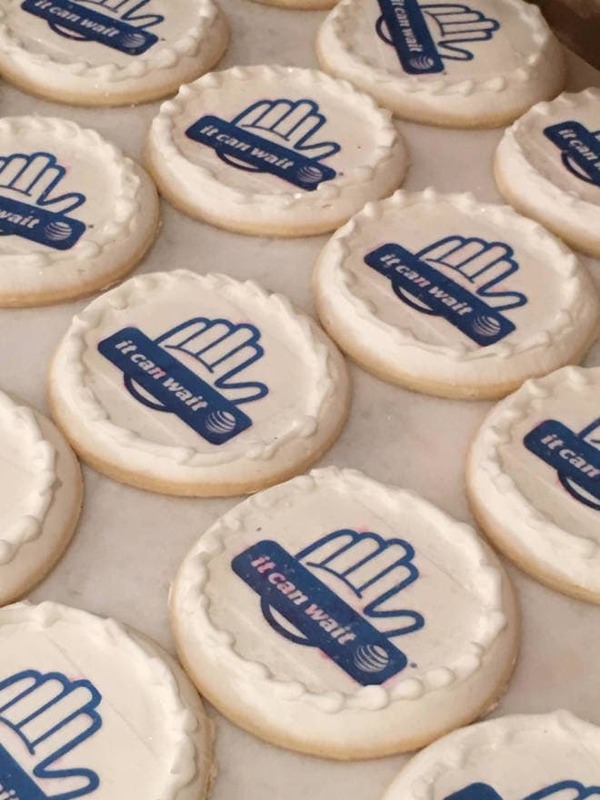 In the time It Can Wait has been around, AT&T has found that 95% of drivers say they disapprove of distracted driving and yet more than 431,000 crashes a year are caused by it. This means we still have more work to do. For me that means talking about it and giving people I care about the information they need to make the best decisions for themselves and their families. 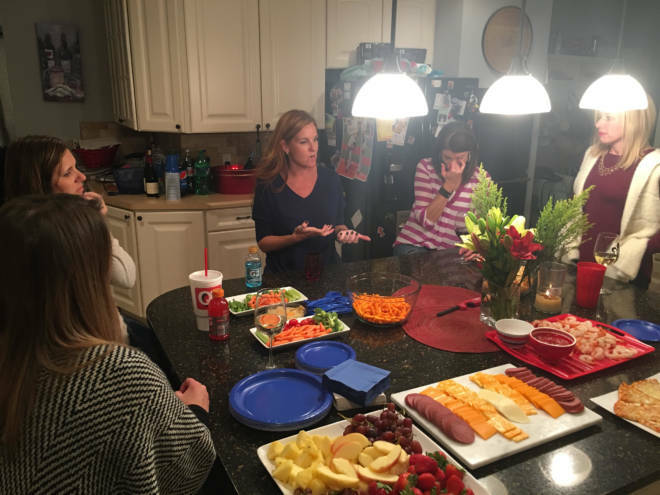 So, I hosted a evening event at my home for some good friends to not only talk about distracted driving and WHY it can wait, but to show them the impact. 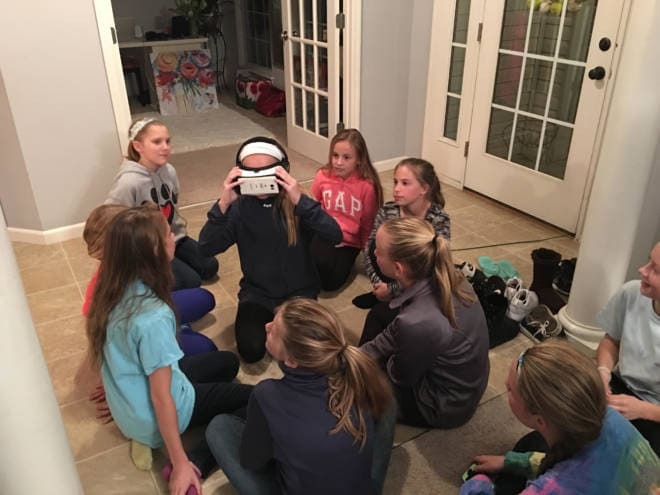 With the help of Virtual Reality, each of my guests – and their teenage daughters (who will be on the road sooner than most of us would like to admit) experienced just what can happen when you allow your phone to be a distraction while you are driving. 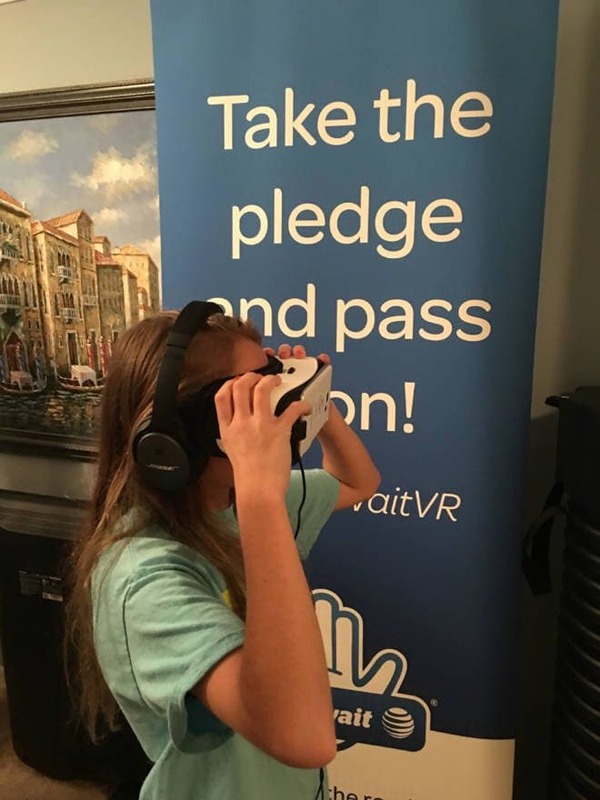 But here’s the thing… I surveyed my guests before they tried the VR and all but one admitted to partaking in smart-phone related distracted driving either daily or weekly…even though they know its wrong. They join 64% of people who admit to doing the same when they are in the car alone. Here’s a quick live video from the evening. 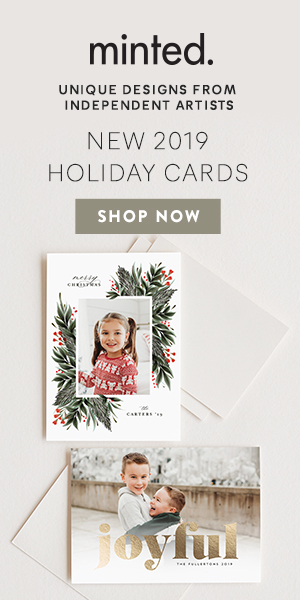 Like mine had in the past, their reasons ranged from worrying about emergencies or looking for directions, to ‘just wanting to answer a quick text’ or trying to multi-task in a busy day. Even though we all said we were less likely to reach for our phones with our kids in the car, the truth is with or without kids in the car, we aren’t ever alone on the road. Watch this video from the campaign as a reminder. I suspect you will hold your breath as I did watching it play out. So, It Can Wait, right? 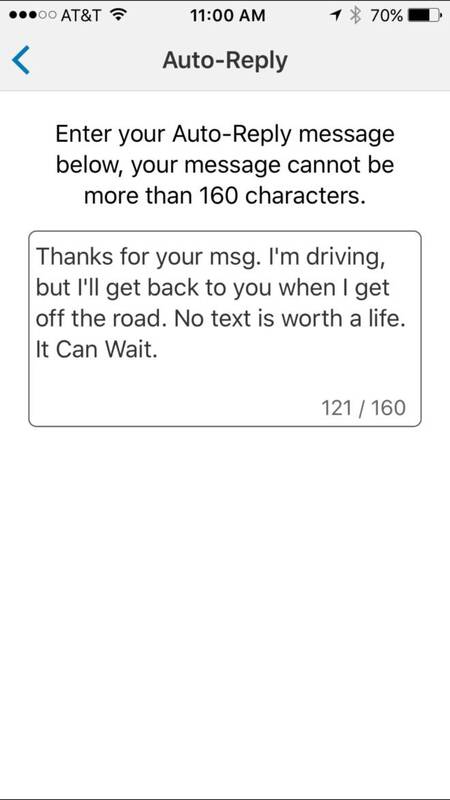 I pledge to care for those around me and put my phone down when I’m driving. I pledge to share the message: distracted driving is never ok. I pledge to be aware that I’m never alone on the road. 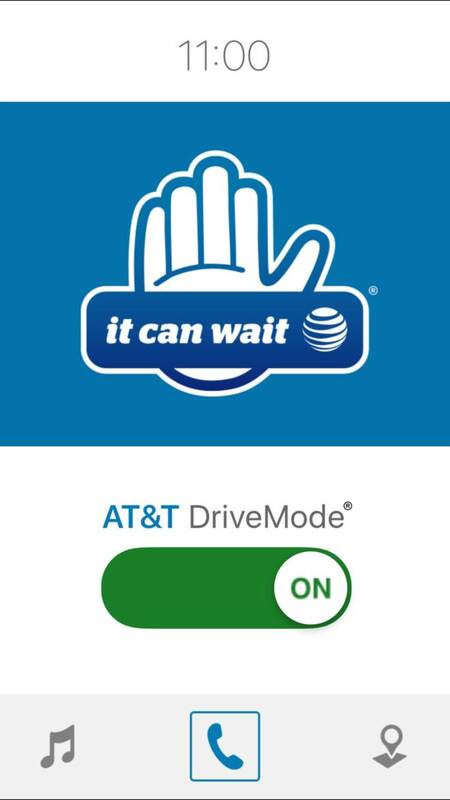 To help keep you honest – join the nearly 5 million others who have downloaded AT&T’s DriveMode App. It is a free, safe driving app that activates when your speed reaches 15 MPH, silences incoming alerts and has an auto-reply message to SMS and MMS messages to let those trying to reach you know that you are driving and will respond when it is safe to do so. You can even customize that message. 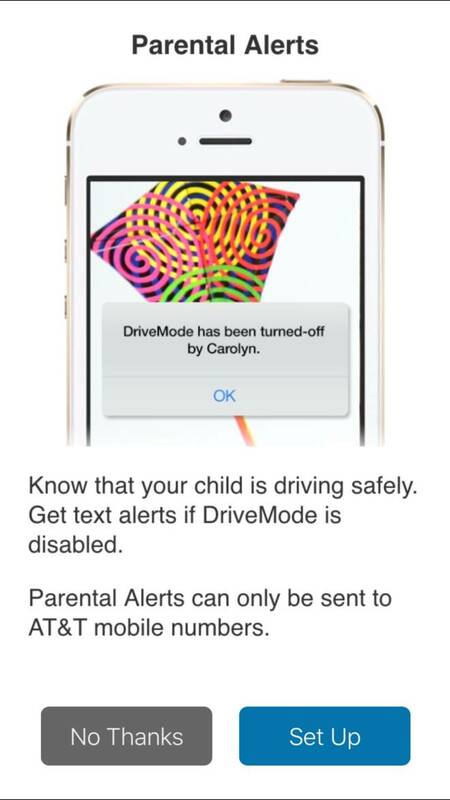 As an added bonus, Parental Alerts will tell you if you if your child has disabled the auto-mode. Are you ready to take the pledge with me? I hope so. Nearly 13 million people have done it so far – our goal is to hit 16 million by the end of the year. I think we can do it. Disclosure: I am happy to have once again partnered with AT&T to share the It Can Wait Message. As always, all thoughts and opinions are mine and mine alone.